Are you looking for a way to improve the appearance of your smile? 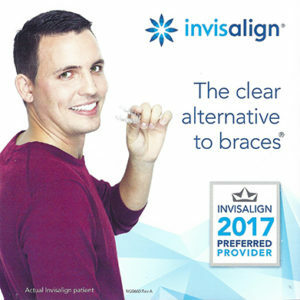 If so, dental bonding in Logan Square and Wicker Park might be just what you’re looking for. Dental bonding is a cosmetic dental procedure in which a tooth-colored resin material is applied and bonded to existing teeth. Bonding is most often used for cosmetic purposes, but it can also be used to close spaces between teeth, to make teeth look longer, or to change the shape or color of teeth. Dental bonding in Logan Square can even sometimes be used as an alternative to metal fillings, or to protect a portion of the tooth’s root that has been exposed because of gum recession. The dental bonding procedure in Logan Square typically takes between 30 minutes and one hour to complete. First, our Logan Square, IL dentists, Dr. Guzman or Dr. Fidel, will match the resin to your original tooth color so it appears completely natural. Then, using microabrasion technology, our dentists in Logan Square will lightly scuff the surface of the tooth. This is done so that the bonding material will adhere to the enamel. After molding the bonding material onto the tooth and securing it in place, Dr. Guzman or Dr. Fidel will gently clean and shine the area to ensure a natural finish. With proper upkeep, dental bonding in Logan Square can last for many years. Proper upkeep includes brushing at least twice a day, flossing at least once a day, and maintaining a healthy diet. To learn more about dental bonding from our Logan Square dental office, please schedule a consultation today!